Peat moss first became available to gardeners in the mid-1900s, and since then it has revolutionized the way we grow plants. 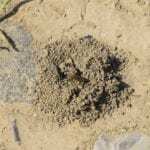 It has a remarkable ability to manage water efficiently and hold on to nutrients that would otherwise leach out of the soil. While performing these amazing tasks, it also improves the texture and consistency of the soil. Keep reading to learn more about peat moss uses. Peat moss is dead fibrous material that forms when mosses and other living material decompose in peat bogs. The difference between peat moss and the compost gardeners make in their backyard is that peat moss is composed mostly of moss, and the decomposition happens without the presence of air, slowing the rate of decomposition. It takes several millennia for peat moss to form, and peat bogs gain less than a millimeter in depth every year. Since the process is so slow, peat moss isn’t considered a renewable resource. Most of the peat moss used in the United States comes from remote bogs in Canada. There is considerable controversy surrounding the mining of peat moss. Even though the mining is regulated, and only 0.02 percent of the reserves are available for harvest, groups such as the International Peat Society point out that the mining process releases massive amounts of carbon into the atmosphere, and the bogs continue to exhale carbon long after the mining concludes. Gardeners use peat moss mainly as a soil amendment or ingredient in potting soil. It has an acid pH, so it’s ideal for acid loving plants, such as blueberries and camellias. For plants that like a more alkaline soil, compost may be a better choice. Since it doesn’t compact or break down readily, one application of peat moss lasts for several years. Peat moss doesn’t contain harmful microorganisms or weed seeds that you may find in poorly processed compost. 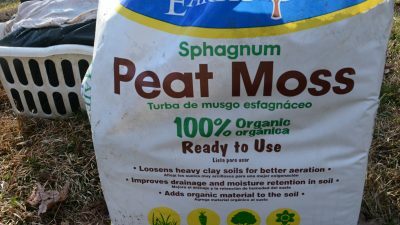 Peat moss is an important component of most potting soils and seed starting mediums. It holds several times its weight in moisture, and releases the moisture to the plants roots as needed. It also holds onto nutrients so that they aren’t rinsed out of the soil when you water the plant. Peat moss alone does not make a good potting medium. It must be mixed with other ingredients to make up between one-third to two-thirds of the total volume of the mix. 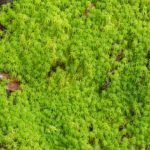 Peat moss is sometimes called sphagnum peat moss because much of the dead material in a peat bog comes from sphagnum moss that grew on top of the bog. Don’t confuse sphagnum peat moss with sphagnum moss, which is made up of long, fibrous strands of plant material. Florists use sphagnum moss to line wire baskets or add a decorative touch to potted plants. Many people feel a twinge of guilt when they use peat moss in their gardening projects because of environmental concerns. Proponents on both sides of the issue make a strong case about the ethics of using peat moss in the garden, but only you can decide whether the concerns outweigh the benefits in your garden. As a compromise, consider using peat moss sparingly for projects like starting seeds and making potting mix. For large projects, such as amending garden soil, use compost instead.